Just before Christmas, I did a little Makeup Revolution haul for myself, along with stocking fillers for family. At the time, if you spent over £25 you received a very generous selection of free gifts. One of the gifts you received was this 'You're Gorgeous Palette' from their sister brand I ❤️ Makeup. The name of this palette sums it up to a tee. 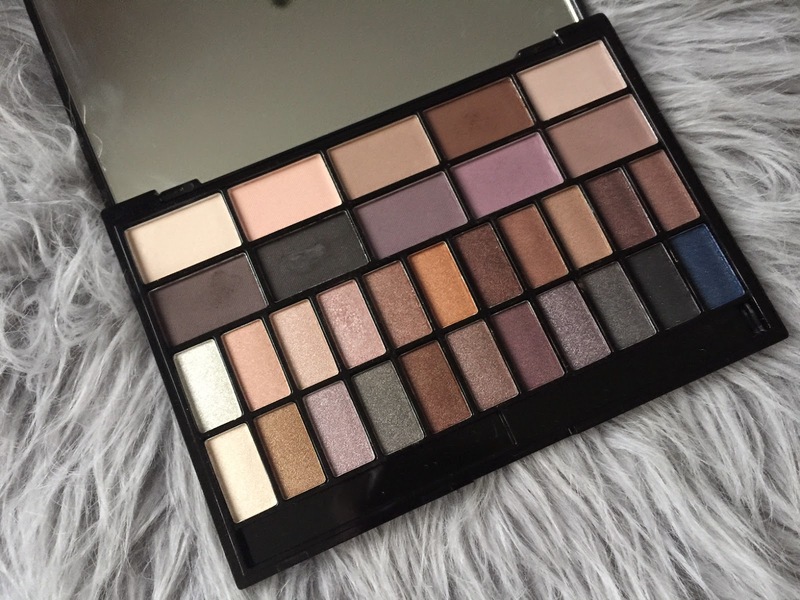 This palette consists of 10 matte shades and 22 shimmer shades. I like quite subtle, neutral shades - normally browns and beiges so this palette was just perfect for me. It also came with a decent sized mirror and fits perfectly into my bag for the days I am constantly on the go. These shadows are super pigmented and velvety to touch. There is minimal residue and the colours blend easily to create a variety of smokey looks. My personal 'go to's for day wear are the mattes (the top two lines combined with the top shimmer line, my favourites within this palette. Endless fun playing around with different looks. A blogging dream. This palette normally retails at £8.99 but at the moment, it is available to buy via the Makeup Revolution Store for £5.99. SO MANY SHADES! And well done for all the swatching - it must have taken you ages! I love the mixture of shimmers and mattes. I love the colours in that palette. They look like a great product. I love the purple shades, gorgeous!